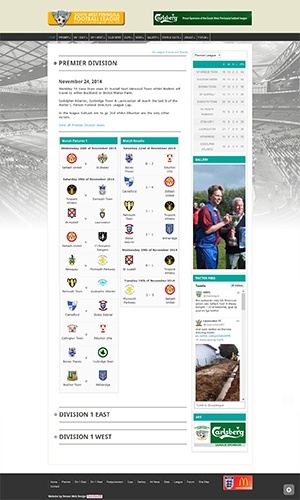 The main goal for this project was to provide an up-to-date website with database- driven technology to manage the South West Peninsula Football League.It had to have a CMS (Content Management System) with the ability to update all game fixtures, Table position, results, Division news – and have a full forum. The South West Peninsula League are delighted with its new website which seemlessly replaced a dated site. The new site is fresh and easy to read with modern features and a selection of interactive tools. The people at Funcion28 listened to what we wanted, designed it to meet our requirements and delivered the project to us with the minimum of fuss.